Learn about natural herbal remedies, alternative herbal medicines, natural herbal pain relief and herbal nutrition. 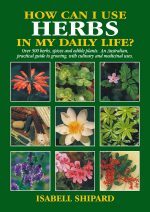 Isabell Shipard’s highly acclaimed book How can I use HERBS in my daily life? is a comprehensive herb book, as well as a practical guide to growing and using, culinary herbs and medicinal herbs. Learn more about herbs here. 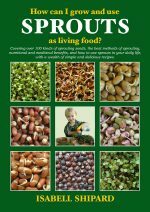 How can I grow and use Sprouts as living food? 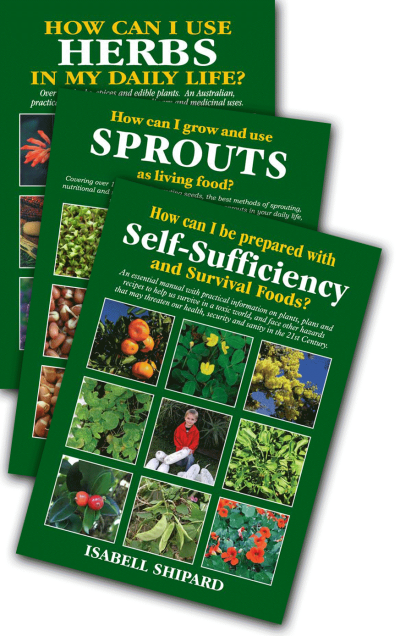 will inspire you to grow and use sprouts to maximize your health. 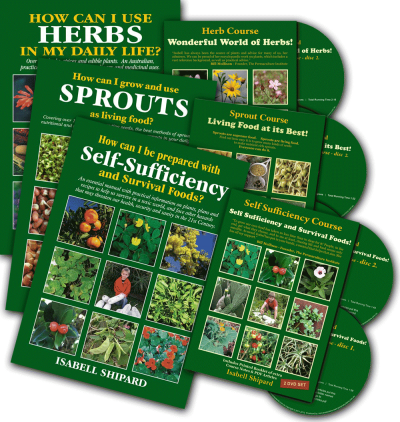 Isabell Shipard’s world renowned book is a reference that covers over 100 kinds of sprouting seeds, the best methods of sprouting, nutritional and medicinal benefits, and how to use sprouts in your daily life, with practical and simple recipes. Learn more about Sprouts here. We need to encourage one another to be as self sufficient as possible… now… in our gardens, as this is the most nutritious fresh food and and cheapest way to live in these times of rising prices. 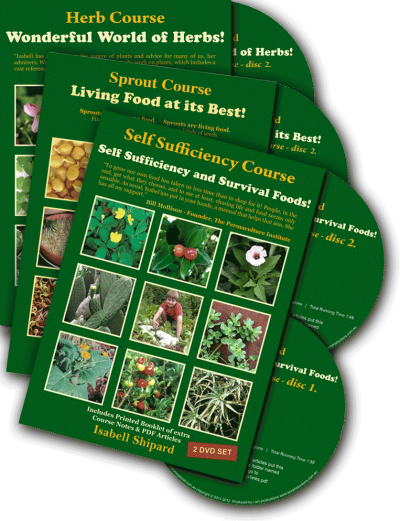 Isabell Shipard’s book How can I be prepared with Self-Sufficiency and Survival Foods? is a valuable reference manual for every person and family. 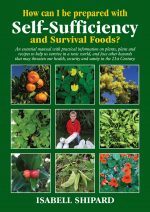 Learn more about Self-Sufficiency here.